The day the bison herd swam across the river says it all. 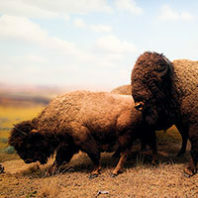 About 80 of the legendary mammals, known for hardiness and stubbornness, decided to cross the half-mile wide Pend Oreille River in 1994—bulls, cows, and even calves—and all survived the crossing, recalls Ray Entz, natural resources director of the Kalispel Tribe of Indians in northeast Washington. Disaster strikes not only people, but also their pets and livestock. 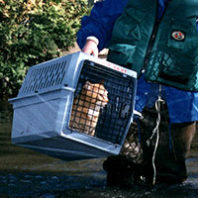 Be ready for disasters by making plans for your animals, using these tips from Ready.gov. If you leave your pets behind, they may be lost, injured—or worse. Never leave a pet chained outdoors. It may be possible to use good bacteria to control bad bacteria and, in the process, reduce the use of chemicals currently employed for such control. Just look in a tick’s gut. Kelly Brayton, a WSU veterinary microbiologist, and her colleagues study the pathogens in ticks that cause disease in livestock and humans. The pathogens infest ticks’ guts and salivary glands and, along with other non-pathogenic organisms, comprise the tiny arachnid’s microbiome.